"I like the variety of my job, the people I work with, and the challenges that working [at Bolton & Menk] provides. I like being part of something that's growing and exciting." Kevin enjoys interacting and working with a variety of people. His favorite part of the job is helping his clients solve problems by coming up with the best solution to fit their current need. He began his profession of engineering in 1985 and oversees the Ramsey Civil Work Group. Kevin has experience in management, planning, design, and construction of various public works projects. He has worked as City Engineer or Assistant City Engineer in numerous communities throughout Minnesota. 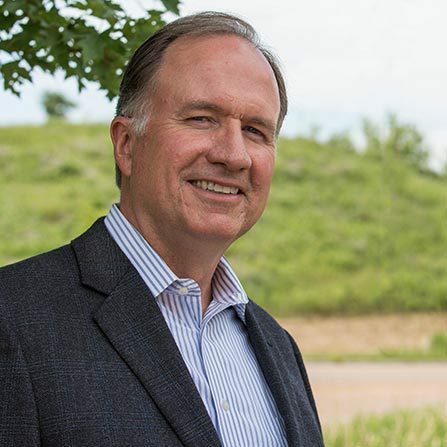 His experience with the Corps of Engineers has included extensive work on FEMA Flood Insurance Studies, various hydraulics studies, and design of major flood control projects. Kevin takes in a Twins game whenever he can, and has a sports team of his own with six children and five grandchildren.